New year means a new sketchbook, right? Not that I need an excuse. 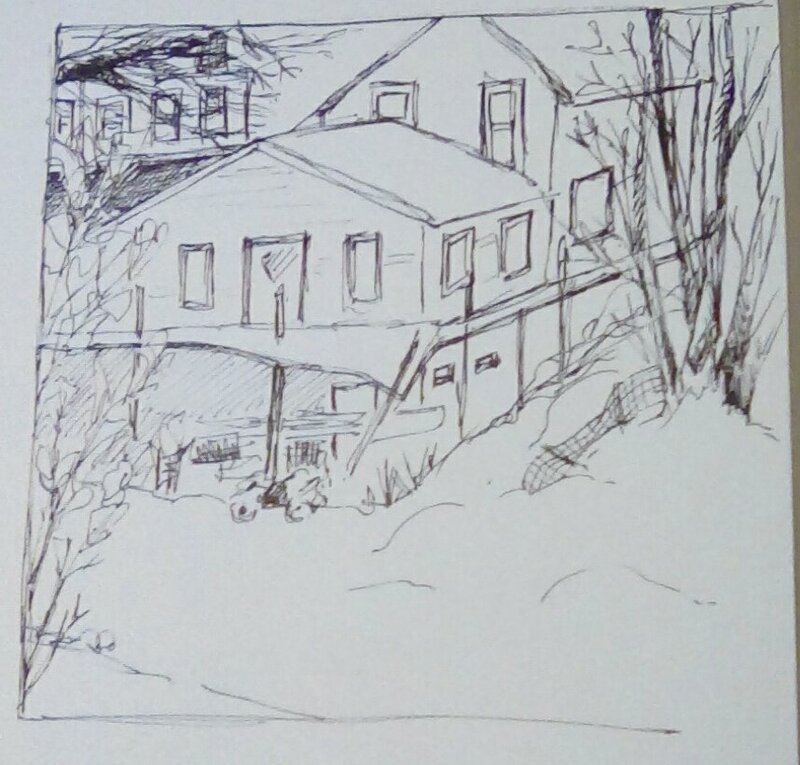 Spent a little while today sketching what I saw outside my window using a Micron 08 black pen. The Micron seems to be my go to for ink. I haven’t found anything comparable in my price range. The sketchbook is a $5 steal from Five Below. It is about 9×12 with a black hard cover, spiral bound on top, and the paper is a medium weight and smooth, which works for my method of sketching in ink. My goal for 2017 is to sketch everyday, no matter how small the sketch is. Even a doodle will suffice. I would like to fill this book over the next 365 days. What is your art resolution for 2017?